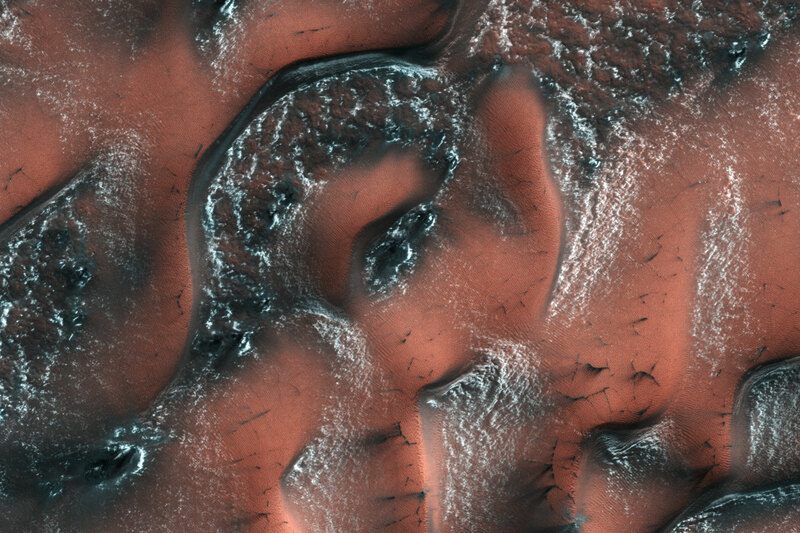 This newly released HiRISE image shows snowy dunes on the surface of Mars. NASA’s Jet Propulsion Laboratory, a division of the California Institute of Technology in Pasadena, California, manages the Mars Reconnaissance Orbiter for NASA’s Science Mission Directorate, Washington. The HiRISE camera was built by Ball Aerospace and Technology Corporation and is operated by the University of Arizona. Be the first to comment on "HiRISE Views Snowy Dunes on Mars"